The dump truck brings a surprise box to help the 3D cars learn colors in this car cartoon episode. 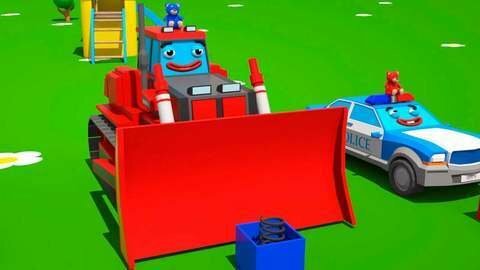 The boxes have colorful bears that made the police car, excavator, and bulldozer smile. Recite the different colors of the bears as they pop out of the box for a delightful surprise. Bring more delight into your kid’s day by letting them other educational and fun-filled videos at SeeZisKids.com.